Yes, the DROIDX2 still has a locked bootloader that will likely never be cracked unless something magical happens, like say a dev build leaks out (just like with the Atrix) or Motorola decides to become customer-friendly. Until then though, we’ll all be forced to find work-arounds which appear to be well under way as of yesterday. 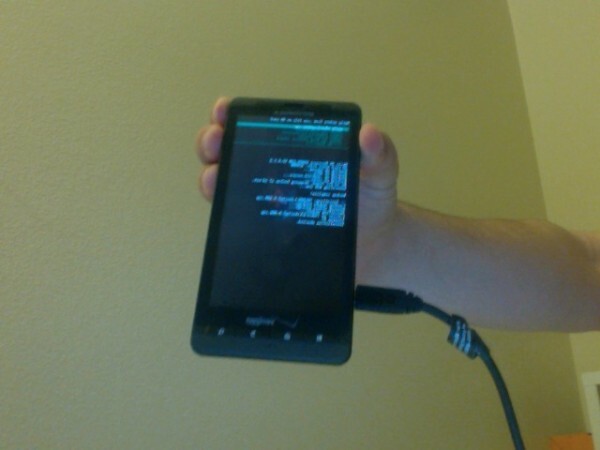 RootzWiki member ericerk managed to force a custom recovery onto the device, making ROMs seem oh so close. There are no instructions to get this going on your on DX2, nor do we know if they’ll find a similar loophole (2nd-init) for ROMs like they did on the original DX, but it’s definitely a step in the right direction. Now if only we could get some devs to start really cranking away on this thing, the DX2 world might turn out to be grand after all.